Static Compensators are electric circuits which are used to compensate the surge impedance in a circuit. They are also used for load compensation. Static compensators are used to maintain a constant voltage during varying loads. They are also used during sudden reduction in the loads or during tripping of the source. 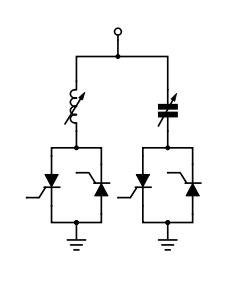 A simple static compensator consists of an variable inductor and a capacitor connected in parallel. The reactive power in the system can thus be compensated using these two elements. Thyristors are often used in series with the inductor and compensator to precisely control the reactor power flow to and from the static compensator.